'The Autobiography Of Gucci Mane': A Story Of Rap And Rebirth NPR's Ailsa Chang talks to rapper about his new book, The Autobiography of Gucci Mane. It traces his life as an artist who forged an unlikely path to stardom and personal rebirth. 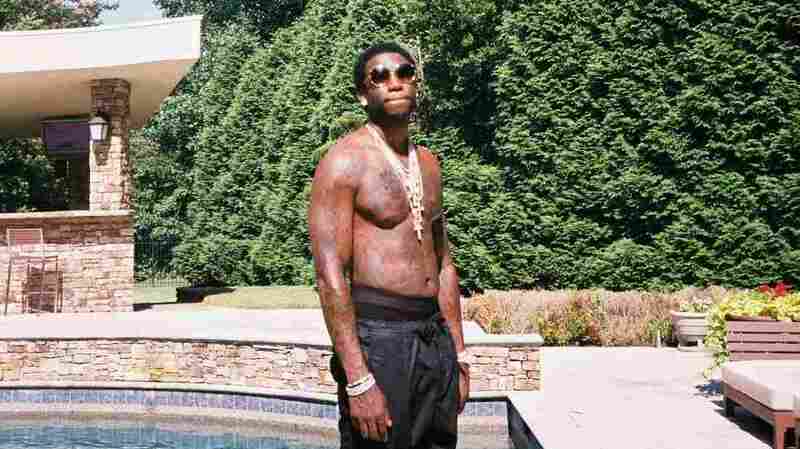 "It's just truth," Gucci Mane says of his new book. "It's the underdog story because I been jumping hurdles my whole life." Gucci Mane has an extensive resume. As a founding father of trap music, Mane's been carving out the rap genre since 2001 when he put out his first underground release: Str8 Drop Records Presents Gucci Mane La Flare. Since then, he has amassed a long list of musical achievements: dozens of mixtapes, singles, collaborations and eight studio albums. But before all of that, he was Radric Davis, growing up in Atlanta and watching his dad hustle people on the streets for money. "You know, he had all kinds of games and scams, like three card molly, shaking the pea, pigeon drop," Gucci Mane tells NPR's Ailsa Chang. "All of these are little scams that he learned — tricks of the trade that he learned in the streets." And Gucci learned them, too. Through much of his climb to the top, he employed these skills while dealing drugs, partially to finance his musical career. He rapped about these exploits in his music, and slowly became known as the rapper who keeps it real. Now, he has released a book, which he started writing while in a maximum-security prison for a firearms possession charge between 2014 and 2016. That time period also marked a turning point, when he made a promise to himself that he would change his life; in his words, to "start doing better." 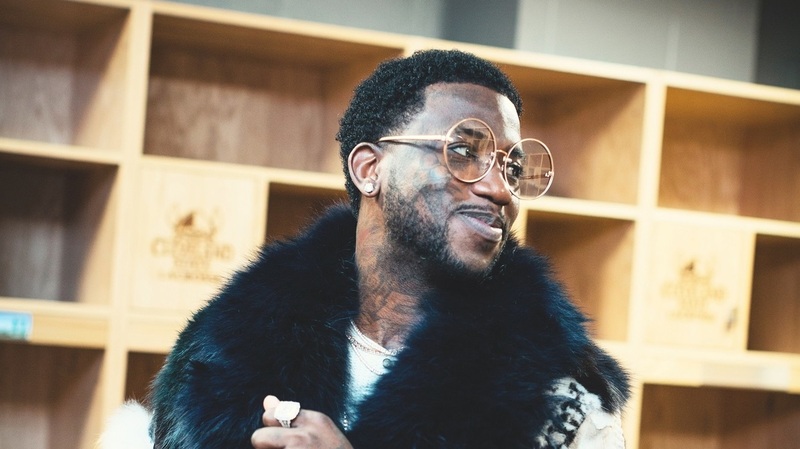 Fittingly titled The Autobiography Of Gucci Mane, the book touches on his hustle growing up and how that shaped his image as a rapper, plus the transformations that led him to where he is today. You can hear his conversation with Ailsa Chang in the audio player, and read on for an edited transcript. Victor Davis/Courtesy of the artist. 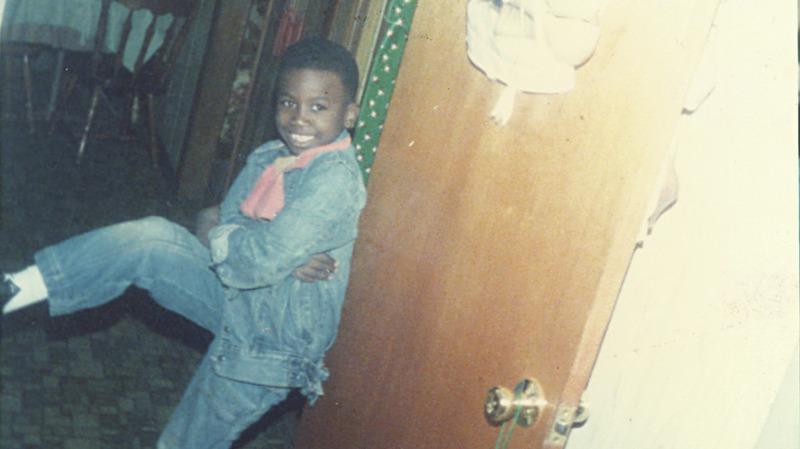 Gucci Mane as a child. Ailsa Chang: In your book, you call your dad a "con artist." How was he a con artist, and what did you learn from him? Gucci Mane: He just was kind of like, always on point, or trying to be as sharp as he can — or, you know, read when trouble was coming. I just watched his nature and I watched his mannerisms. He didn't really teach it to me, but I kind of adapted to it because I seen it. So back then, when you were barely 13, 14 years old and you started dealing drugs, it sounded like you were already really obsessed with money. Why was that? I think I was obsessed with money, definitely, coming up because I seen so many people not having money. I seen so many people staying in shotgun houses, or not really having good shoes on their feet. And I went to sleep hungry — I knew what it was like to be poor; I knew what it was like to have your lights off, or to have to boil water to take a bath. And that never left me. I seen the way everything was about a dollar. I seen how it could just tear up a whole household. So in my mind it was always like, try to make yourself not be a burden on nobody. Try to keep yourself at least financially independent enough where you're not a burden on your family because they don't got it. When you were quite young as an adult, you were breaking into houses, robbing, expanding your drug dealing all over Georgia. Did it feel justified in your mind because at least you were making a living and you were not depending on other people to feed you? It wasn't justified. I think it's kind of like, I know in myself — even thinking of who I was hurting or how risky it was — the chances I was taking. It was kind of like, I just want to get to a point where I'm comfortable, I'm straight, I'm well off. At that time — in hindsight, looking at it now — that's what I thought was the way to get there. I didn't want to do that for the rest of my life. But at the same time, I knew that I needed money to do what I had to do. When you started your rap career, you would brag about these exploits in your music — which, in a way, only strengthened your reputation on the street as a drug dealer. So I'm just curious, did you live the lifestyle for the music, or was the music a way to enhance your image as a drug dealer back then? To be honest, once I got my first charge at like 20, 21, music was like: This is what I'm going to do. I don't want to sell drugs no more. Did you feel like you could get out of it, though? Yeah. But at that point it was like, "I want to be a professional rapper," you know what I'm saying? I want to get in the music business. But at the same time, it was like, I still need money to pay for studio time. I still need money to get myself out there. You're called the trap god. Can you just explain: What is trap music? When I hear a rap song, how do I know when I'm hearing it: "Oh, this is trap." Trap, by definition, is a hustle or a spot or the act of just grinding. When I came up, trap was crumbling. Trap meant that you was in a drug infested place, neighborhood, house. The music was about that lifestyle, anything pertaining to that lifestyle. But right now, it's broad; it's kind of like hard hitting beats, and just talking about the drug culture. I want to just rewind a little bit, because I'm thinking about this time in your life when you're in your twenties and you're drug dealing, in part, to finance your music career — did you feel like your life was precarious? That this wasn't sustainable indefinitely? 100 percent. I felt like selling drugs was going to have a terrible consequence at the end if I kept going. You had this looming dread. It just was facts. I've seen how bad it can be. I seen people who had serious cases and did serious time at a young age. I seen people getting robbed. I had friends, people who was getting killed, so I already knew that once I had that first charge that I gotta do something. I kind of made a conscious decision like, I'm going to be a rapper. And I'm going to be serious about it. No matter what happen, I'm going to make it happen. So you were living the trap life as you were releasing these albums, and part of that lifestyle was this drink called lean, which you were hooked on for many years. What is lean? -- But not just any cough syrup, we're not talking Robitussin. This is codeine. Codeine with Promethazine. Over the counter syrup, definitely with a prescription. I was addicted to that for several years and it derailed my career. I was doing a recreational drug when it was time for me to be 100 percent dialed-in. You were in and out of county jail for much of your young adult life. And in 2014, you were convicted of firearms possession and you entered federal prison for the first time. And it was at that time that you decided, "This is it; this is going to be a turning point for me." And I'm just curious: Why at that point? Because all of your problems with law enforcement up until then: That was part of your image. It was part of the image in your music; it was part of your image that your fans connected with, in some ways. But what made your time behind bars in 2014 suddenly different? Well, I got arrested in 2013, but I didn't get sentenced to go to prison, I guess, until 2014. So, I actually made the decision to change my life in 2013 when I was first arrested, before I even got the time. Because I was facing a bunch of time. So that right there is what made me come to the decision that I need to change my life. No matter what the outcome or what the sentence is, I'm gonna start doing better. Why did you decide to write a book during prison, a book about your life? I just had time to sit down and reflect. And I was reading books. I had read Johnny Cash's biography, I read Mike Tyson's biography, I read two biographies on Jimi Hendrix. And then when I read the two biographies on Jimi Hendrix I was like: Let me tell my story myself. And that just came up with the idea, and I just started writing, and I wrote like 30, 40 pages my first time when I sat down to write the book. What is the story that you wanted to write about yourself? Is your book a story about redemption, or is it a story about glorifying the guy you were before federal prison? Because honestly, it doesn't seem like you regret a lot of the things you had done. I think it's just a fascinating story. It's not a regrettable biography. It's just truth. It's the underdog story because I been jumping hurdles my whole life. I done made a lot of mistakes and I feel like I'm a resilient person. I shook it off and I kept going and I just want to let people know. I hope when people read my book, that's what they get out of it, like: "OK, Gucci went through a lot, he's doing something that maybe a lot of people would love to do — but at the same time, he took it for granted at the time and made mistakes but he bounced back from it and he's better for it." And let them know, "if he can do that, it's never too late for me to turn my life around because look what he did."